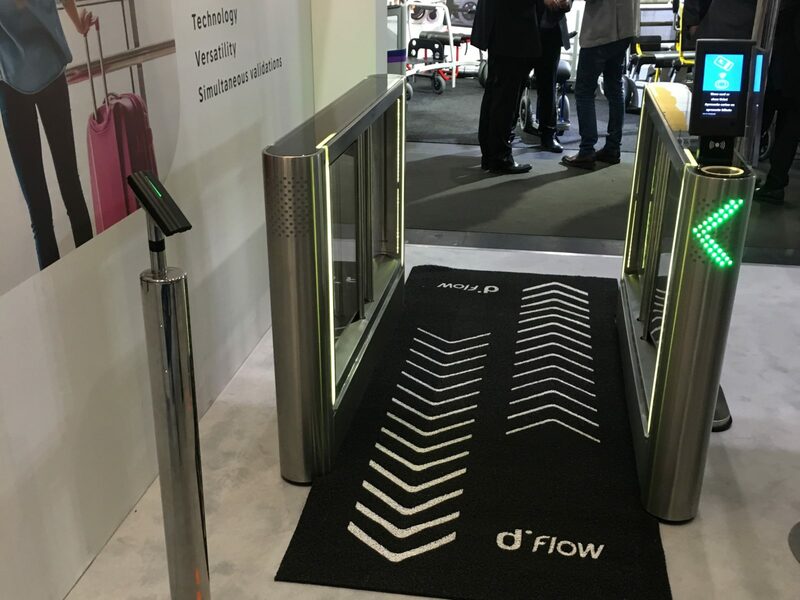 Access control company Digicon is showing its new free-flow concept ‘Multizone’ for the first time at Passenger Terminal Expo. This technology is an update to the company’s existing dFlow and dViator gates. The gates work according to an open-door principle, where the gates only close when non-validated passengers try to walk through. According to export sales manager Bernardo Balejos Frantz, this allows for a flow of approximately 45 people per minute, rather than the more usual 20. When arriving at the gates, passengers scan their boarding pass and get matched using biometric technology (primarily through facial scans such as Idemia’s Morpho Wave). If they are not recognised or not authorised to pass through, the gate closes. The new Multizone concept introduces separate scanning stations that allow passengers to scan their passes before they arrive at the gate and then simply walk through, as they are recognised again at the gate itself. One benefit of this system is that families, for example, can all scan their passes together and then walk through the gate as a group. The Multizone function is entirely compatible with the gates’ other key feature, which is that they can operate in both directions simultaneously. The technology is already integrated with major airport systems from SITA and Collins Aerospace. Several major European airports have additionally expressed interest in using the free-flow gates. 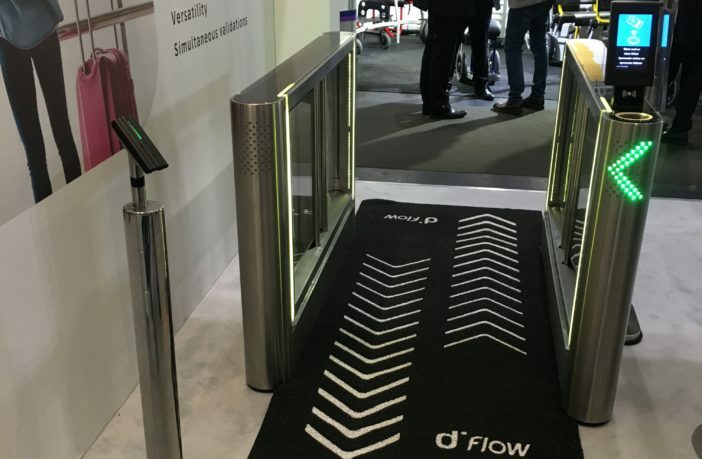 Balejos Frantz says that this is an especially important product for the company, as the standard version of the free-flow gates was only introduced four years ago, when 19 units were installed at Rio de Janeiro airport for the Olympics. This product opens up a new section of the market for the company, which has been making aerospace components for over 40 years.